Demonstrating excellence with every installation, Heath & Sherwood has earned the trust of customers from all corners of the globe. It is a trust that continues to grow. 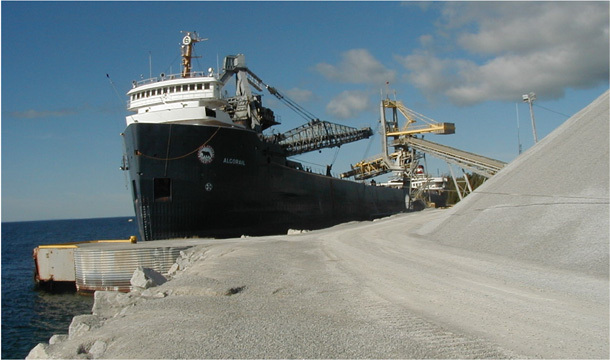 When a Northern Ontario limestone quarry required modernization of the method for checking consistency of their final product, they called upon Heath & Sherwood to design a system which would meet their exact needs. In the photographic presentation below, the old manual method and the new automatic mechanical method are both illustrated. The material is loaded onto a ship at a feed rate of 3,200 TPH by a 60 inch wide conveyor. The particle size is up to 2.25 inches and so for proper sampling protocol, the primary sampler cutter opening must be a minimum 6.75 inches. The primary sample increment is 120 lbs. with each sweep of the stainless steel cutter. The primary increment is transferred to a 12 inch feeder with capacity up to 5 TPH. When the non-blended product is loading, the secondary sampling module uses a Secondary Cross Belt ARM® -12 to take a 17 lbs. increment of the material. The amount of product is controlled by the gate opening on the feeder and this will dictate the final sample quantity. When blended material is loaded, the Secondary Cross Belt sampler is bypassed and a 3-stage 60 degree riffle divider is used to determine the final sample quantity. With the riffle, the final sample quantity will always remain near the 15 lbs. per primary increment. As shown in the photos, the new installation is a vast improvement over the former system. 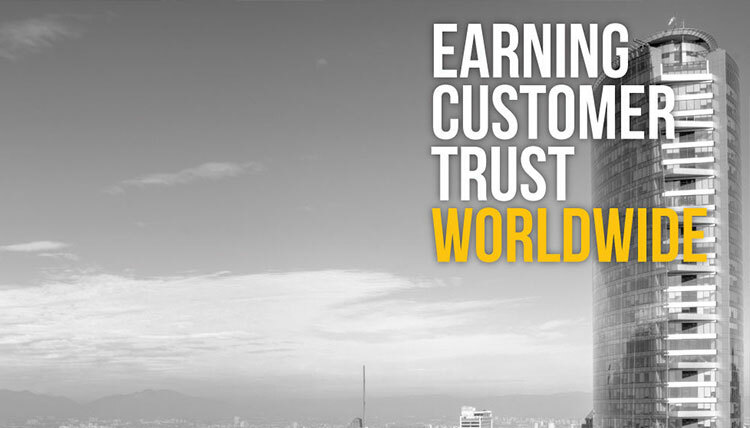 Will your customers continue to trust the old method of ensuring product quality? Compare the old and new methods in the photos below and see for yourself! Ship loaded with final product that has been quality checked with the new method. The first Automatic Gaspé Puncher was patented in 1991 and featured an air motor with infrared distance measuring to locate tuyères. It was capable of punching 12 tuyères/minute with a cycle time for a typical Noranda Reactor / CMT of 4-5 minutes. The OEM punching cylinder lasted 4 weeks. In 2002, a customer in Chile who used manual Gaspé Punchers and experimented with their own automation placed an order for two Gaspé Punchers with Heath & Sherwood: one Fully Automatic and one Remote Control Manual as a stand-by unit. The following is a summary of the operational improvements obtained using the new H&S Automatic Gaspé Puncher versus the manual puncher it replaced. Recognizing a need for improved reliability and longer life between change-outs, the best available OEM punch cylinder was replaced by a custom H&S designed and manufactured punch cylinder which now lasts on average greater than 12 weeks. Collapsed tuyères and damaged silencer assemblies have been practically eliminated, leading to more uniform blowing across the length of the converter. Punch bar usage was reduced by over 60%, an indicator of good punching and fewer miss-hits leading to less wear and tear on the tuyère line. Punching speed was improved by approximately 4X. Most importantly, the campaign life was improved by over 50%! For similar further applications, please contact Michael Marinigh at Heath & Sherwood in Kirkland Lake, Ontario at 705-567-5313 Ext. 120.